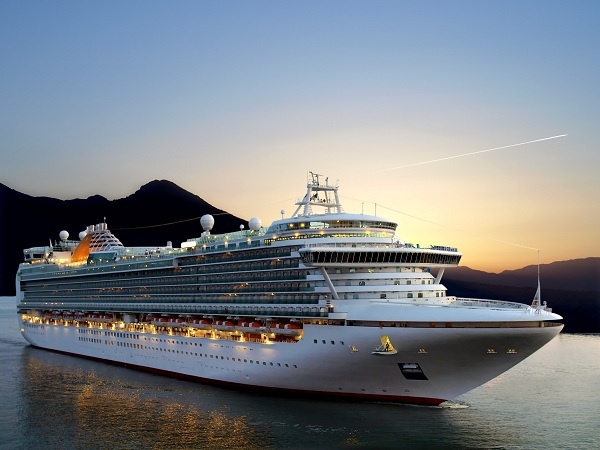 Nowadays, modern cruise liners are ready for almost anything – health and safety checks are constantly carried out, and crew members are trained to cope with a number of different issues. However, what do you do when you’re in the middle of the ocean, and a passenger stops breathing? Unfortunately this situation recently occurred on board a Norwegian Cruise Lines ship off the coast of Miami. A passenger apparently started to choke after eating a piece of meat, and then stopped breathing entirely. The crew immediately called for help, to try and get the sick passenger to hospital as quickly as possible. Unfortunately a ship to ship rescue was not possible due to choppy seas, so the Miami-Dade Fire and Rescue Service were called in to complete the daring rescue. The Fire department sent an emergency helicopter, which hovered over the boat and lowered a stretcher and medic to airlift the man to shore. The dramatic footage was captured using an in-flight camera, which sees the passenger being winched up to the helicopter, and then quickly whisked away from the cruise ship. The patient was immediately air lifted to the Jackson Memorial Hospital, but unfortunately there have been no further updates on his condition. One thing is for certain, if the passenger hadn’t been airlifted to hospital he almost certainly wouldn’t have survived, but this type of rescue can be an expensive undertaking. Unfortunately this is something many cruise passengers fail to consider – because who wants to think of the worst case scenario when booking a dream holiday? If you’re planning a cruise, just remember to invest in a specialist policy which provides cover for ship to shore repatriation, in the event of a medical emergency. For more information on Cruise Travel Insurance, visit Holidaysafe.co.uk.